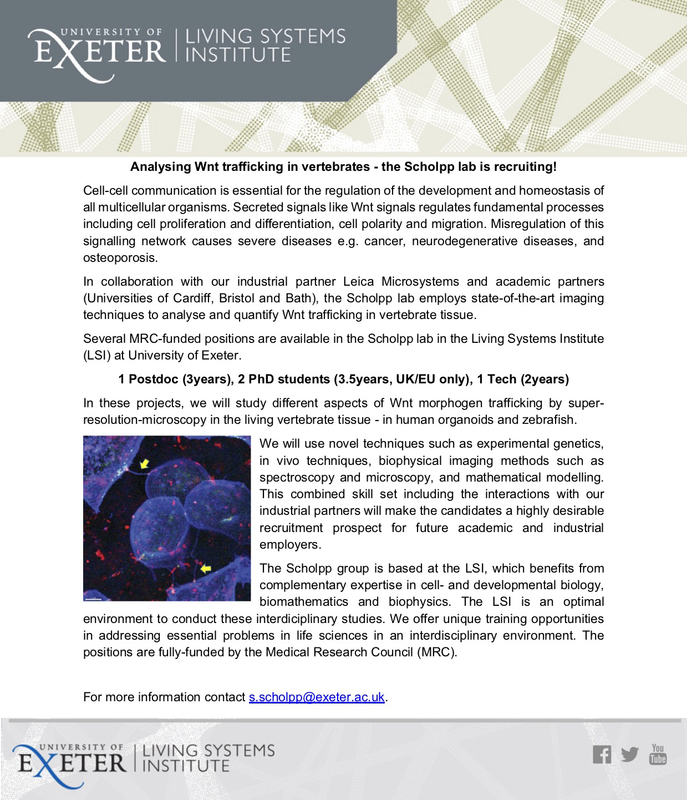 Several MRC-funded positions are available in the Scholpp lab in the Living Systems Institute (LSI) at the University of Exeter to elucidate various aspects of cytoneme-mediated Wnt trafficking in vertebrates. Application deadlines: November / December 2018! More information about the lab, about the LSI, and about our recent research in The Node. For more information contact s.scholpp@exeter.ac.uk.